Dating back to the 17th century Broadrake is a former farm in the Yorkshire Dales National Park lying at the foot of Whernside, the highest point in Yorkshire and one of the famous Three Peaks. Along with other farms and isolated dwellings it is part of the scattered community of Chapel-le-Dale with the nearest village being Ingleton some 4 or 5 miles down the dale. 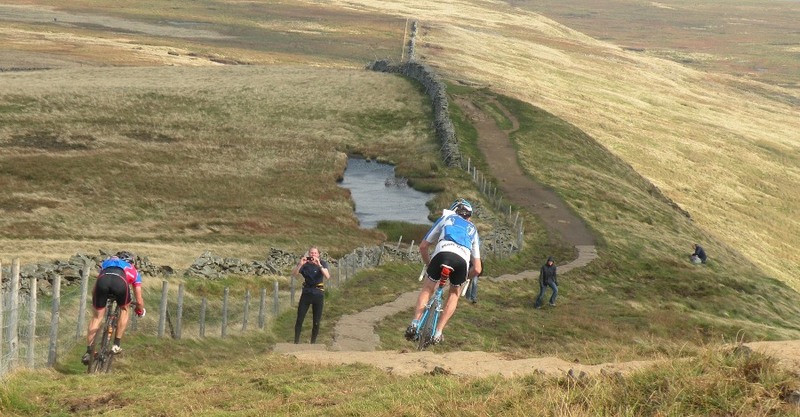 The bridleway running in front of the house is well frequented by mountain bikers and particularly by walkers doing the Whernside round from Ribblehead. It also forms part of the recently established Dales High Way long distance walk from Saltaire to Appleby. Just a field away is the route of the extremely popular Three Peaks walk used as a challenge event by many charities during the summer months. If you're fit you could try the Three Peaks Fell Race in April each year, or the Cyclocross at the end of September. Depending on weather conditions the Whernside ridge behind the house is a regular venue for paragliders. As well as stunning scenery with wide ranging views this is one of the best caving areas in the country and is also a haven for botanists and geologists. The Ingleborough National Nature Reserve is across the valley on the slopes of Park Fell, part of the Ingleborough massif, and the extensive Whernside SSSI lies directly behind the house. 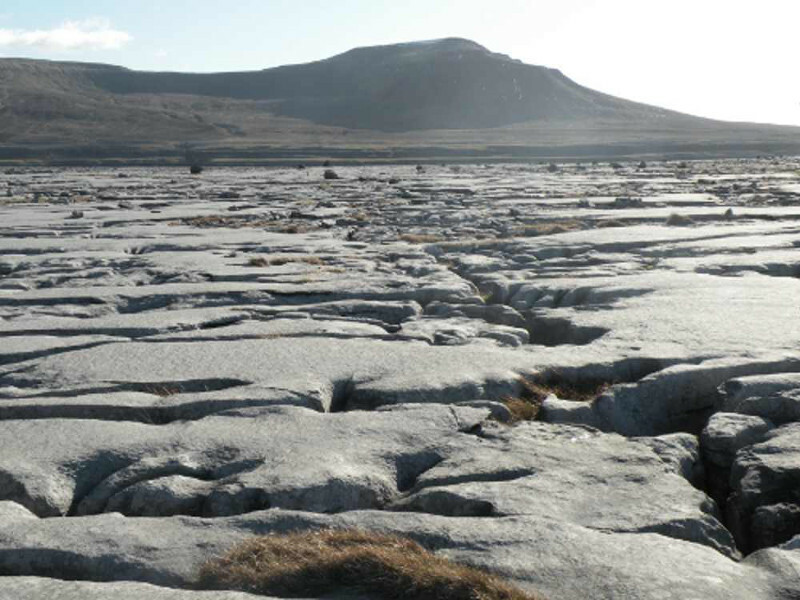 On Scales Moor a couple of miles down the valley is some of the most extensive unbroken horizontal limestone pavement in Britain. Mike and Rachel Benson moved here from Harrogate in 2011 and have fallen in love with the property and the area. They have converted the old barn attached to the farmhouse to form bunkbarn accommodation available for groups or individuals. Details here. As well as the bunkbarn they run a number of craft workshops through the year bringing in experienced tutors. You could try your hand at blacksmithing, learn to scythe or make a willow basket. Details of workshops here. Soon after they moved in, and with assistance from the Woodland Trust, they planted the field behind the house with 600 native trees which have had a couple of seasons growth now and doing well. 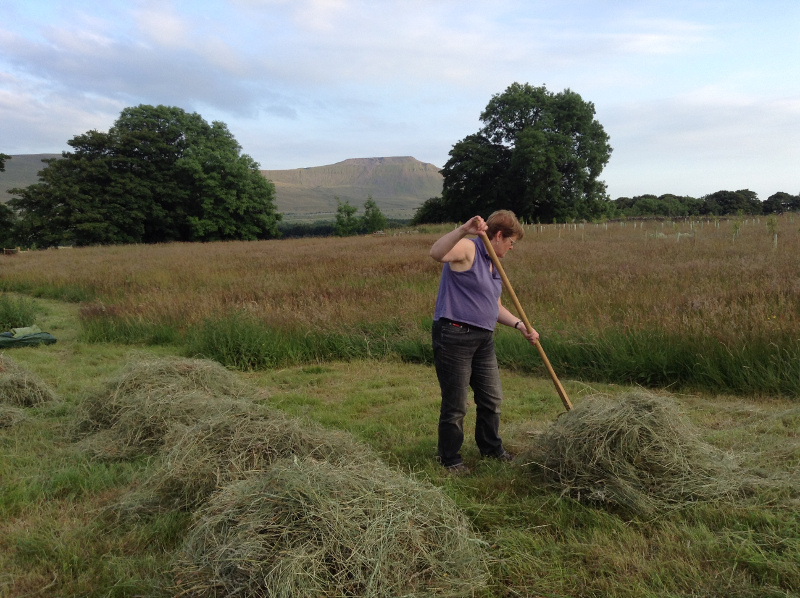 The central section of the field has been left clear of trees to be developed as a wildflower meadow. This will be a long term project as there's a lot of grass to manage but there's already a good mix of Knapweed, Yarrow, Harebells, Pignut etc. Hopefully with parasitic plants like Yellow Rattle the diversity will gradually improve. In due course the plan is to allow permissive access to this so others can enjoy it as well. As keen musicians they have established a monthly folk tunes session at the nearby Hill Inn and are members of the Batty Moss Ceilidh Band.